Great range of ice climbing gear and mountaineering equipment. Walking and climbing crampons, C1, C2 and C3 rated from Petzl, Charlet, Vasak, Grivel, G12, G14, G20, Spider, Air Tech Light, Yaktrax, Climbing Technology. Crampon accessories and spares. Cheap prices, UK delivery. We offer everything from technical climbing crampons, to walking along the pavement crampons! 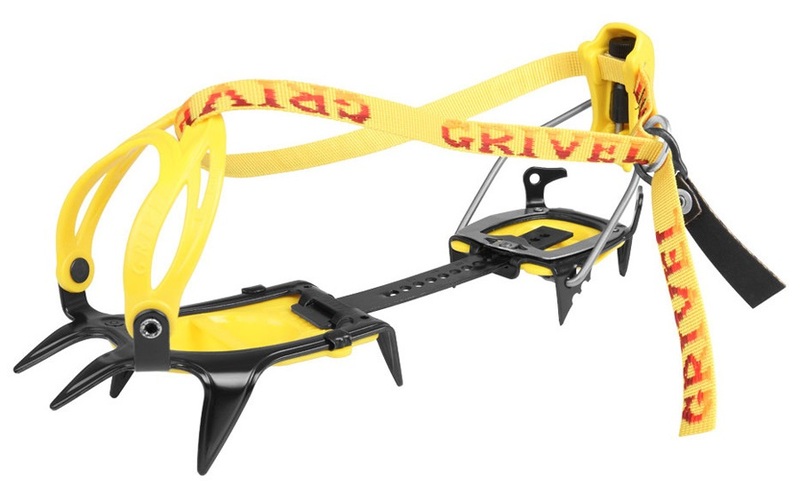 Classic ten-point mountaineering crampon with anti-ball plate - simple and reliable system for moderate to steep alpine terrain. Classic ten-point ski touring crampon with anti-ball plate - simple and reliable system for moderate to steep backcountry tours and hikes. Minimalist anti-slippery crampon for those looking for better traction in challenging terrain. Ultra-light mono-point ice climbing and dry tooling crampons with Lever Lock binding system. Black Diamond's lightweight, stainless steel monopoint crampon - perfect for mixed terrain & ice. Classic 14-point alpine crampon with anti-ball plate for moderate to steep backcountry tours & climbs. Classic twelve-point mountaineering / ice-climbing crampon with anti-ball plate. Advanced technical alpine crampons for mountaineering & mixed climbing. Versatile mountaineering crampon with modular design for mixed technical climbs & classical alpinism. Technical 12 point fully automatic crampon from CT! Classic 10+2 point mountaineering crampon with anti-ball plate - simple and reliable system for moderate to steep alpine terrain. Classic twelve-point mountaineering / ice-climbing crampon with lever and bale system and anti-ball plate. Classic 12-point mountaineering crampon with anti-ball plate. Reliable system for icy terrain with universal fit. Minimalist anti-slip soles for those looking for better traction in snow and ice conditions. 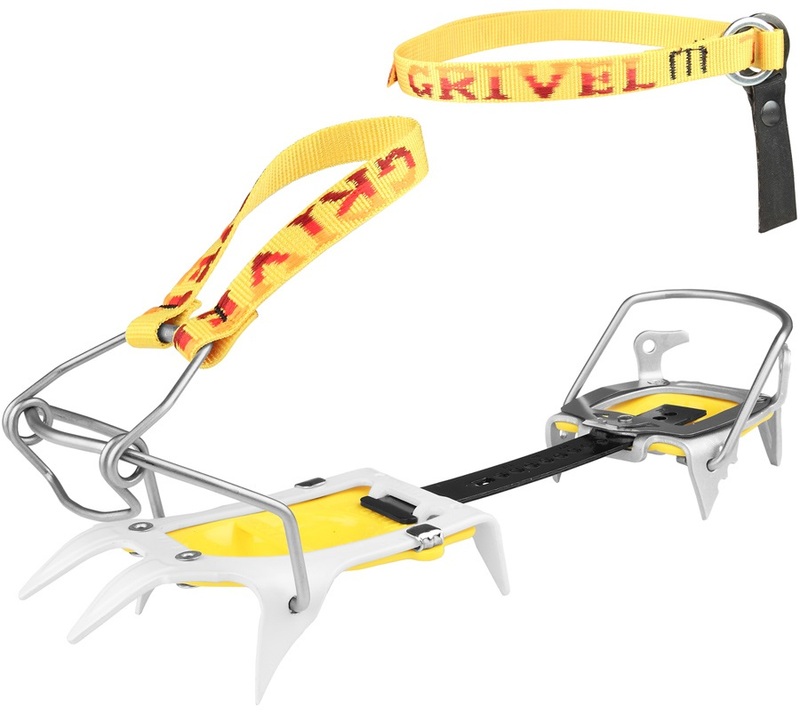 Lightweight twelve-point mountaineering / ice-climbing crampon with MONORAIL technology, Cramp-O-Matic rear bale and lever system and anti-ball plate. Super tough micro crampons from Nortec designed for walking on ice, light mountaineering and cold-weather outdoor sports. Ten-point minimalist crampon for those looking for better grip in challenging terrain. Nortec's toughest micro crampons for cold days spent walking in the snow, over ice, in the forest or on the trail. Lightweight twelve-point mountaineering / ice-climbing crampon with MONORAIL technology, lever and bale system and anti-ball plate. Winter snow and ice walking crampon from CT.
Lightweight, stainless steel horizontal monopoint crampon for big alpine routes & demanding technical climbs. Versatile short-point crampon system with universal fit. Added grip for a range of outdoor activities. Ultralight, 10-point approach crampon with tool free adjustment and universal fit. Advanced technical alpine crampons for mountaineering & classical alpinism. 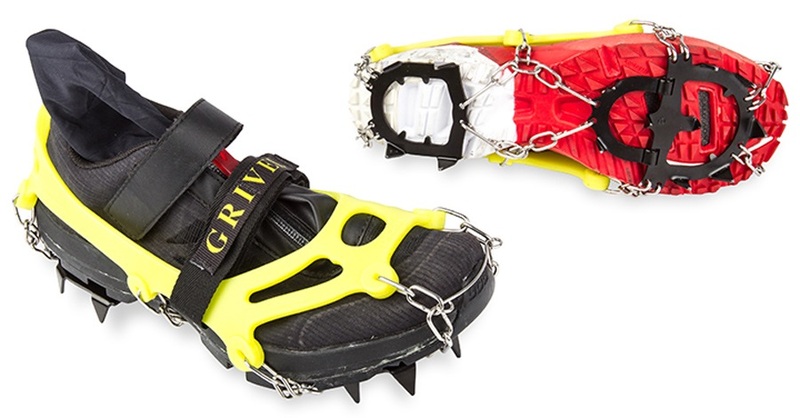 Lightweight, universal fit crampon with anti-ball plate. Soft toe harness and heel cradle attachment. Classic 10-point winter trekking & basic mountaineering crampon with anti-ball plate. Reliable system for icy terrain with universal fit. 4-point minimalist crampon for those looking for better grip in challenging terrain. Classic 10-point winter trekking & basic mountaineering crampon with anti-ball plate. Reliable system for icy terrain with hybrid fit style. Modular, 14-point ice climbing crampon with tool free adjustment and universal fit. Lightweight universal mountaineering crampon with anti-ball plate - reliable system for moderate to steep alpine terrain. Aluminium mountaineering crampon with anti-ball plate and step-in lever lock attachment system.